Haaretz newspaper on Saturday reported that Israeli settlers of Efrat settlement last week established a new outpost on a nearby hill in protest at the killing of an Israeli settler at Gush Etzion junction earlier that week. The hill, which the settlers call “Givat Eitam”, is known for its strategic importance. Israel in the past tried to boost settlement construction on the hill but it backtracked because any construction project in the area would separate Bethlehem from Palestinian villages in the south. 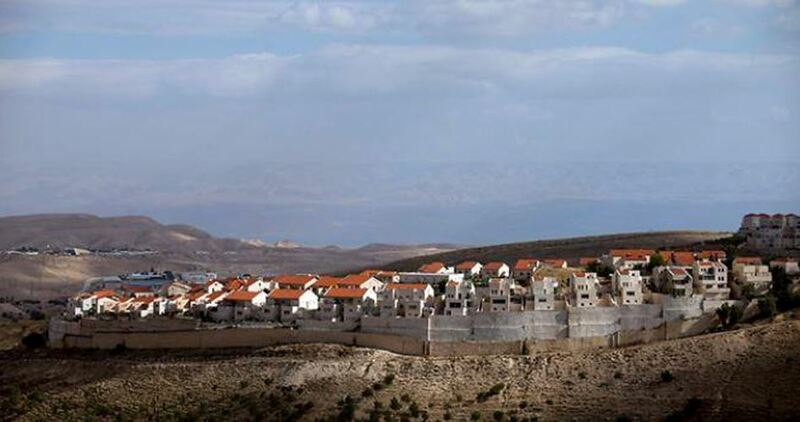 Israeli settlers rallying in the new outpost affirmed that Efrat council had sent them. They even raised the council’s flag there. As far as is known, Israel’s Civil Administration does not intend to evacuate the outpost immediately, in light of previous requests by Efrat council to allow settlement construction on Givat Eitam. The new outpost is not the first of its kind. An outpost was built there in 2013 but it was evacuated two years later. The Shin Bet, Israel’s internal intelligence, on Friday arrested the father of Palestinian martyr Arkan Muzher, from Bethlehem, after summoning him for interrogation. 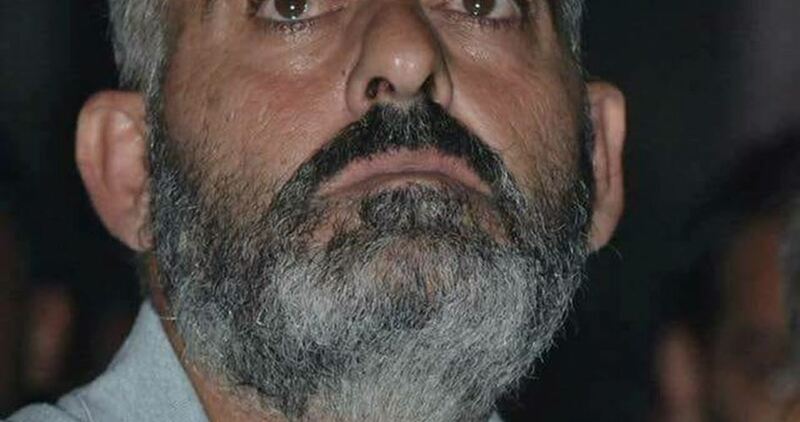 According to the Palestinian Prisoner Society (PPS), Tha’er Muzher received a summons for interrogation from the Shin Bet in Etzion detention center after soldiers stormed his home in al-Deheisheh refugee camp in Bethlehem. Later, a PPS lawyer was informed by the Israeli security authorities that Muzher would remain in detention in Etzion center, without providing a reason for the measure. 15-year-old Arkan Muzher was killed by Israeli gunfire on July 23 during clashes between local youths and soldiers in Deheisheh camp. The Chief of Staff of the Israeli Occupation Army warned last week of a major outbreak of “violence” in the occupied West Bank, the Times of Israel reported on Friday. Gadi Eisenkot said that there is a “60 to 80 per cent” chance of this happening. According to reports, Eisenkot attributed the expected outbreak to the waning political influence of Palestinian Authority President Mahmoud Abbas, as well as to his deteriorating health. He delivered his warning during a meeting of the Israeli security cabinet held last Sunday. Any violence in the West Bank, said Eisenkot, would require more Israeli troops to be deployed as well as a corresponding escalation in the Gaza Strip due to the nature of the friction between the Palestinians there and in the West Bank. The senior officer pointed to the declining support from the US and Arab states for Abbas, pressure on him to reach a reconciliation with Hamas and increasing anger among the Palestinian people over the PA’s “sacred” security cooperation with Israel. Abbas’s forthcoming speech at the UN General Assembly, he warned, could ignite the expected violence, which Eisenkot already believes would be based on lone wolf attacks. 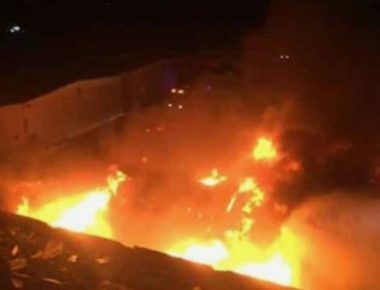 Israel claimed last week that it had undermined 3,000 possible lone wolf attacks against Israeli targets during the past two years in cooperation with the PA.
To avoid more violence, Eisenkot suggested improving the economic situation of Palestinians in the West Bank and stressed the importance of resolving the humanitarian crisis in Gaza. The consequences for the Palestinians of the US aid cuts must also be addressed, he added. In closing, the Chief of Staff warned of the possibility of Israel finding itself trapped in a confrontation on three fronts: Syria, Lebanon and the West Bank and Gaza Strip. The Palestinian Authority will sever ties with Israel and stop security cooperation if it signs a truce with Hamas, Egyptian and Palestinian sources revealed to Al-Araby Al-Jadeed on Friday. The PA would also abandon all of its financial obligations in the Gaza Strip, at the top of which are the salaries of public servants in the territory. 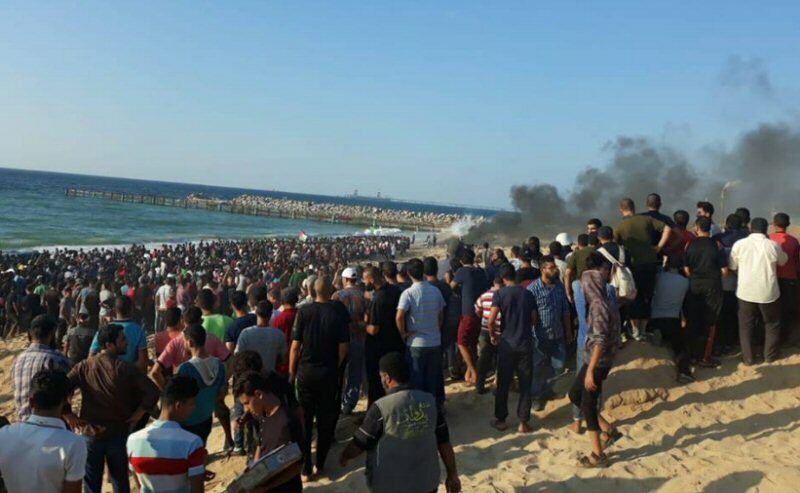 According to informed sources, the Egyptian intelligence agency has suggested that the truce talks between Israel and Hamas continue in tandem with reconciliation discussions. Cairo has apparently pledged to put pressure on the Palestinian factions to accept what is best for Fatah and the PA. The latest discussions ended with the truce talks put on hold until further notice, while reconciliation discussions are being intensified, with more pressure put on Hamas to accept Fatah’s recommendations for the Egyptian-brokered reconciliation proposal. Fatah and the PA insist on full control over Gaza’s border crossings and all tax sources, as well as control of the security services and the weapons of the Palestinian resistance factions. The latest Fatah delegation to Cairo is said to have passed Abbas’s message to the Egyptians that they should completely freeze truce talks in order to put pressure on Hamas and oblige it to hand over the Gaza Strip. Meanwhile, the Palestinian Islamic Resistance Movement is expected to receive an Egyptian delegation in Gaza today. It insisted that it has heard nothing new from Egypt regarding the truce and the reconciliation talks. Hamas revealed that it had started internal discussions to reactivate the administrative committee in Gaza, which was dissolved in October 2017 as part of the reconciliation deal reached with Fatah. Although insisted upon by the Fatah-controlled PA, the dissolution of the committee was not enough for Mahmoud Abbas, who has imposed punitive measures on the Palestinians in the besieged coastal enclave. When asked about breaking the 12-year Israeli-led siege, Hamas stressed that it would not stop the Great March of Return protests until the blockade is brought to an end. The so-called Middle East “Quartet” is comprised of the US, Russia, the UN and the EU. This constant legal to-ing and fro-ing shows no sign of abating. Just this week, ACOM publisheda press release boasting of pending legal action against the city council of Pamplona, in northern Spain. The legal action accuses the council of discrimination against Israelis and Spanish Jews for its no-platforming of Israeli representatives and support for a military boycott, two staples of the BDS movement. With each precedent set, ACOM’s and, by extension, Israel’s efforts to quash the boycott campaign in Spain gain traction and strength. Though pro-BDS movements like CSAC have begun to play ACOM at its own game, such efforts still lag behind both in quantity and impact. 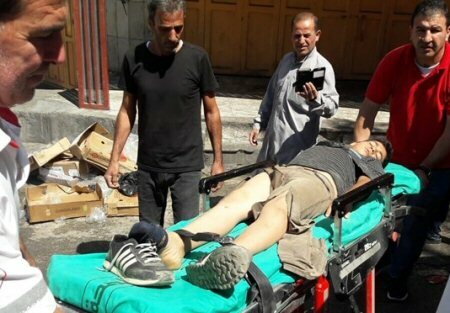 If BDS wishes to maintain momentum and influence, it will have to pull harder in this protracted tug of war..
A 16-year-old Palestinian teen was hospitalized after an Israeli settler ran him over, on Friday, in the Tel Rumeida neighborhood of the southern occupied West Bank city of Hebron. Witnesses told a Ma’an reporter that an Israeli settler deliberately ran over the Palestinian teen with his vehicle, in Hebron City. The teen was identified by locals as Munir Abdullah Gharib, aged 16. Mounir suffered injuries from the attack, and was immediately transferred to the Alia Governmental Hospital in Hebron, for necessary medical treatment; his condition remained unknown. Incidents involving Israeli settlers hitting Palestinians, in the occupied Palestinian territory, are a relatively regular occurrence, and are usually treated by Israeli security forces as accidents, even in cases when witnesses claim the car rammings were deliberate. Palestinian residents of Old City Hebron face a large Israeli military presence on a daily basis, with at least 32 permanent and partial checkpoints set up at the entrances of many streets. 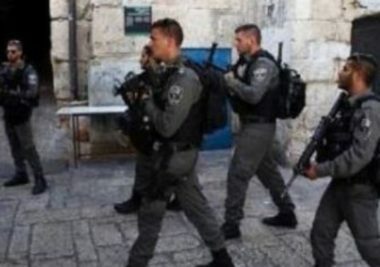 Israeli soldiers summoned for interrogation, on Friday evening, twenty Palestinians, including the Secretary of Fateh movement, in occupied Jerusalem. The Palestinian New & Info Agency (WAFA) has reported that the soldiers summoned Fateh Secretary in the city, Shadi Mitwer, along with 19 other Palestinians, for interrogation for protesting the repeated and escalated invasions and provocative tours by colonialist settlers and soldiers into the courtyards of the Al-Aqsa Mosque. WAFA added that the Palestinians were summoned by phone, and were ordered to head to the al-Maskobiyya interrogation facility, Sunday. The summoning of the Palestinians for interrogation comes while more fanatic Israeli colonizers are calling for provocative tours into the Al-Aqsa Mosque, this coming Monday.